Last weekend I attended a Christ Light Healing Session with Karen McBride in Whitby, Ontario. “Christ healings are a gentle and passive way to unblock negative/stuck energy to assist us in moving forward in life and reconnecting with the soul self. This healing may release physical pain and emotional stresses from the mind, body and soul. All you need to do is be open to receiving so the healing will take place”. During this session I felt energy shifting in my heart and body. In the past I even experienced visions during the meditation. When I cam home I went directly to my journal and took the time to express what I had felt during the session. This is the best part of journaling as it is a way to immediately get thoughts and pictures and feelings down on paper. These feelings can then be effectively processed at the same time or at some time in the future. 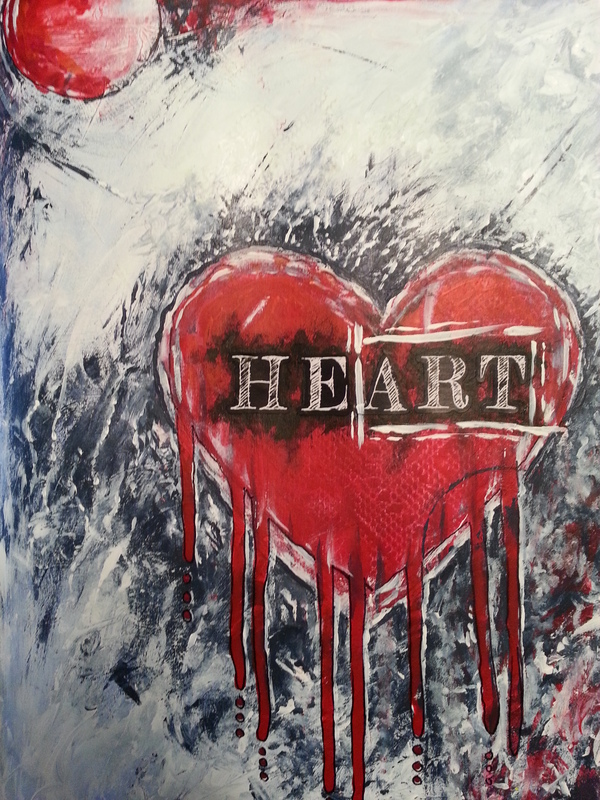 Even though the heart picture ended up looking very dark, that is not the what I wanted it to represent. It does however represent a heart being cleared of all negative and unwanted energy. Before the painting was completely finished I put it aside to do something else and when I came back later to finish it the word ART jumped out at me. That is how I came up with the title of this post and why I put the white border around the word ART. Anyone who is an artist knows that ART heals. Just remember, there is no wrong way to art journal, and if you end up not liking what you have created there is always Gesso or simply turning the page. That day, I was able to fully, and whole-heartedly turn to a new page.